Police Efforts Helpful In Lowering Premium Rates – Insurers cannot quantify its effects yet but they say efforts by law enforcers in curbing vehicle theft would eventually push Denver auto insurance costs down. Aided by new technology along with their dedication, the police have trimmed down the rates of stolen vehicles by double digits. Local law enforcers have been employing new technologies to protect car owners from vehicle thieves. Sheriffs in some counties plant GPS tracking devices on farm tractors or four-wheeler trucks left out to trick machinery thieves. Cops in Metropolitan Denver drive vehicles equipped with computerized license plate readers that can detect stolen vehicles in one whole grocery parking lot within seconds. Vehicle owners are also doing their part in fighting the crime, buying glass-etching paste to permanently burn their vehicle identification number (VIN) permanently onto each window. Car manufacturers refuse to be left behind, equipping new models with enhanced anti-theft devices. Manufacturing innovations like computer-coded car keys were also very helpful installing vehicle thieves. Additionally, the state has enacted a law which collects $1 from car insurers for every vehicle availing their policy. That means law enforcers have $3.5 million more in their funds to keep Denver vehicles safe from thieves. And statistics show that combined efforts from automakers, police, and car owners are working very well, decreasing annual car theft rates by 20 to 30 percent. In Colorado, the number of vehicles stolen in 2008 dropped by 22 percent. That means 3,614 fewer car owners filing for auto insurance claims because of theft, saving insurers $24.4 million in replacement value. In Denver, the rate dropped by 30 percent in 2008. That means there were only 3,591 stole cars in the state’s capital last year, down from 5,104 cars the preceding year. The City of Pueblo reported an even more stunning improvement, with the number of car owners filing for vehicle theft claims going down by 67 percent last year. 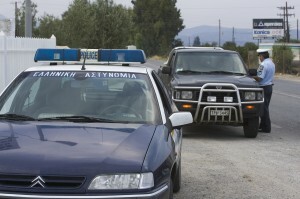 In the whole United States, the rate of stolen vehicles has gone down by more than a half from 1991 to 2008. During the 19-year period, only 315 cars were stolen from every population of 100,000 compared to 659 in the preceding years. That totals to 700,000 less car owners filing for a theft claim. Auto insurance companies say the crackdown against vehicle thieves should eventually trim down premium rates for policyholders, but they cannot exactly determine yet how much it would help in reducing costs. Insurance underwriters note that protection against theft usually make up 25 percent of the cost of a comprehensive coverage.